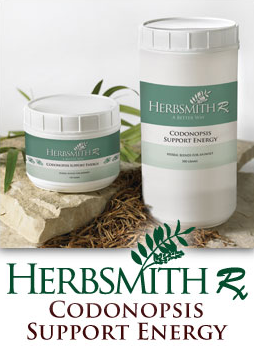 Herbsmith Codonopsis Support Energy maintains the horse’s natural vitality and re-energizes the spirit. The herbs in this blend are used to naturally support the vitality of the horse while managing exhaustion. Whether your horse is in training, trailered around the state or country, showing, or racing, this blend will invigorate the horse’s vitality and excitement about life. It can also be used to proactively avoid exhaustion or excessive fatigue when you know the going will be rough. Herbsmith Codonopsis Support Energy naturally supports vitality by allowing the body to maximally utilize each and every meal the horse eats. The maintained level of vitality is the result of the best use of the nutrition consumed on a daily basis. Therefore the response is a gradual progression to liveliness and overall maintenance of health. From a Chinese perspective, Qi is the vital energy, or flame, of life. Fatigue results from the depletion of Qi. The herbs in this blend are used to support a normal level of Qi. The spleen is considered to produce Qi from the food the horse eats. When overworked, poorly fed or heavily stressed, Spleen Qi becomes deficient. Herbs in this blend maintain Spleen Qi and all the spleen functions to, in turn, support the overall level of Qi in the entire body. After use of Herbsmith Codonopsis Support Energy you may want to start Herbsmith Rehmannia Tonify Yin to prevent fatigue and prolong the energy. Precautions:This is a warming and tonifying blend. Don’t use in easily excitable or irritable horses, or horses with fever of any origin. Not to be used for long term (i.e., not for longer than six months) and not a substitute for appropriate rest. If the horse becomes irritable following use please discontinue administration.